Bubbles form in lubricant oil inside a barrel at the Royal Dutch Shell Plc lubricants blending plant in Torzhok, Russia, on Wednesday, Feb. 7, 2018. Oil traded below $52 a barrel after U.S. crude inventories slid less than expected and added to concerns that the OPEC+ coalition’s output cuts won’t be enough to avert a supply glut. While futures in New York were clawing back on Thursday after falling 1 percent in the previous session, they are still down over 2 percent this week. U.S. Energy Information Administration data showed inventories fell by 1.21 million barrels last week, well below the 10.2 million cited in an industry report Tuesday. Meanwhile, an OPEC report showed deeper supply cuts may be needed in late 2019 to counter a looming surplus of oil. Crude’s still in a bear market after reaching a four-year high in October as investors remain worried over supply and demand. Record American output, which is expected to boom to more than 12 million barrels a day in 2019, is threatening to overwhelm the market. The U.S. has also allowed some nations to temporarily buy Iranian oil despite the implementation of sanctions, while the unity of the Organization of Petroleum Exporting Countries is at risk. West Texas Intermediate for January delivery traded 18 cents higher at $51.33 a barrel on the New York Mercantile Exchange at 12:27 p.m. in Singapore. Prices decreased 50 cents to $51.15 on Wednesday after the stockpiles data, erasing earlier gains of as much as $1.23. Total volume traded was 49 percent above the 100-day average. 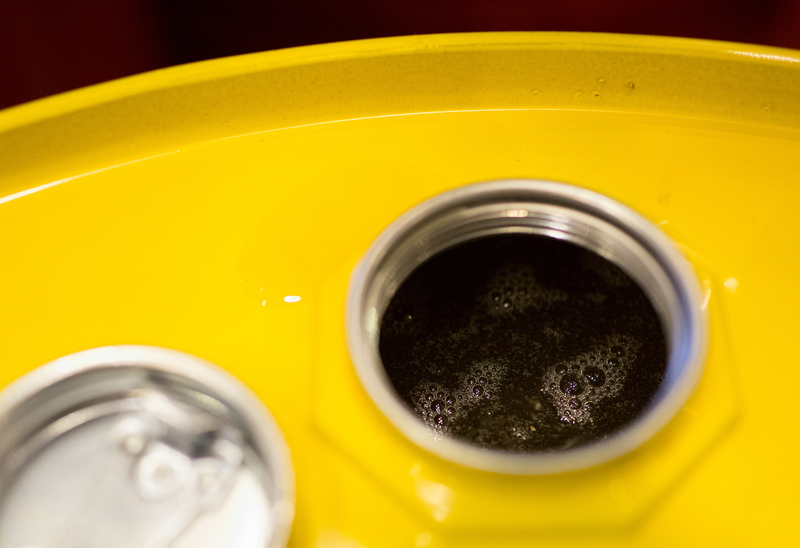 Brent for February settlement rose 29 cents to $60.44 a barrel on London’s ICE Futures Europe exchange. Futures settled 0.1 percent lower at $60.15 on Wednesday. The global benchmark crude traded at an $8.87 a barrel premium to WTI for the same month. While U.S. crude inventories declined for a second week to about 442 million barrels, they are still above the five-year average of 410 million barrels, according to data compiled by Bloomberg. Stockpiles at the nation’s storage hub of Cushing, Oklahoma, increased for a third week to the highest since January, the EIA data showed. While production curbs agreed by OPEC and its allies are on track to balance global oil markets in the first half of next year, rising U.S. shale supplies mean they would need to almost double the cutback to prevent a new surplus in the fourth quarter, according to a report from the group. Supplies from outside OPEC, boosted by U.S. shale drillers, are poised to expand by more than global oil demand next year, at 2.16 million a day versus 1.29 million a day, the report showed. Even if the cartel restricts output to the level agreed last week, the market could tip into oversupply again during the second half of next year.